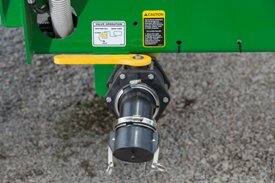 In order to reduce filling time, the 2510L offers 5.08-cm (2-in.) fill on 3974.68-L and 5110.31-L (1050- and 1350-gal.) tanks and 7.62-cm (3-in.) fill on 6813.74-L and 9084.99-L (1800- and 2400-gal.) tanks. 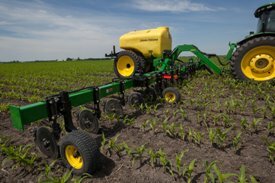 When using side-dress application, an operator’s ability to minimize crop damage during application is paramount. 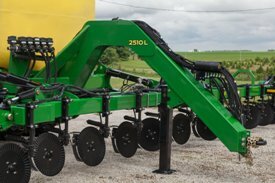 The 2510L comes in base with features such as hydraulic wing kick, single reach tongue, and higher operating clearances that allow operators to reduce that damage and expand that application window. 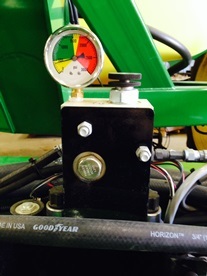 Hydraulic wing kick is a key feature that helps reduce crop damage. 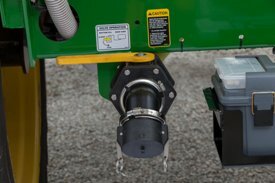 No more dipping into the crop and damaging corn when turning. When the operator lifts the toolbar during the turn, the wings will automatically kick up in order to increase its distance from ground to toolbar. This action allows the operator to have increased clearance on the wings, minimizing crop damage. A 60.96 cm (24 in.) 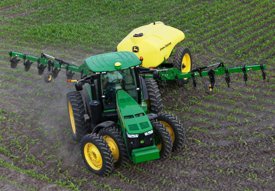 operating clearance allows the operator to maneuver in the field while minimizing crop damage. 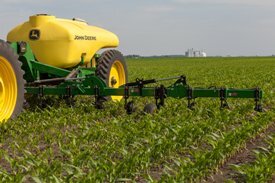 Accurate fertilizer application is vital to increase fertilizer efficiency and effectiveness which will help a producer reach their yield goals. 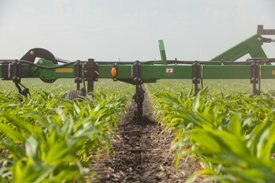 In addition to mainframe down pressure, the 2510L offers hydraulic wing down pressure and a flex-hinged design that ensures accurate fertilizer placement. 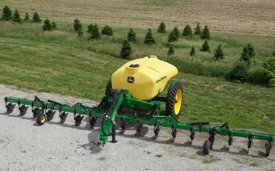 The 2510L features hydraulic wing down pressure that applies constant down pressure on the wings to maintain constant depth and application. 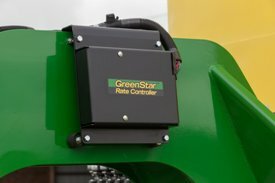 System pressure is monitored directly on the GreenStar Display and saves producers from having to monitor a manual gauge or keep it clean while in those dry, dusty fields. 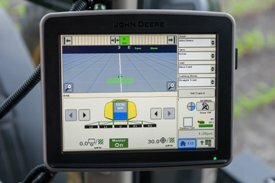 John Deere Section Control reduces overlap, thus lowering input costs. 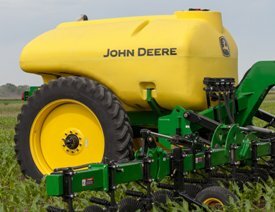 The John Deere 2510L has up to five sections of control depending on size and configuration of the machine. 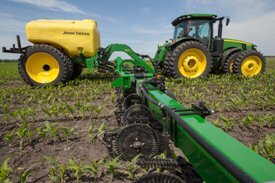 *John Deere Section Control activation required. 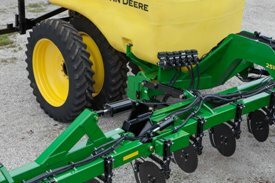 The John Deere 2510L offers several different sizes to fit any size operation, big or small.